Yorkshire and Northumberland have always been synonymous with grand stately homes and country houses, no doubt due to the beautiful rolling countryside that often surrounds them! Scroll down to see our hand picked selection of country house hotels in North East England, including Yorkshire and County Durham. This historic inn dating back to the 15th century is now a boutique and romantic hotel set in the heart of one of North Yorkshire's prettiest villages. Features an acclaimed 2 AA rosetted restaurant. This 18th century, five star town house boasts 3 rooms with garden hot tubs, perfect for a wedding anniversary or a Valentine's break! Durham Cathedral, castle and shops are all within walking distance. Be sure to try out the hotel's cocktail bar. 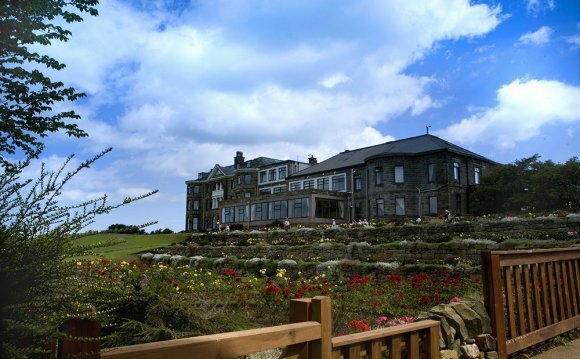 Set in 15 acres of beautiful parkland, Tillmouth Park Country House Hotel is situated between Edinburgh and Newcastle. There is an AA rosette awarded restaurant, and be sure not to miss afternoon tea which is served by the open log fire in the main hall! This stately mansion sits deep within the Vale of York and dates back to the sixteenth century. Bedrooms are all furnished to a high standard and have full WiFi access. Within easy reach of the A1M and M62 motorways. Built in the Georgian era, Waterton Park Hotel sits proudly on an island surrounded by its own lake. Extensive leisure facilities including swimming pool and sauna. Situated in the Yorkshire countryside, yet still within easy access of Wakefield.